Approx. sheet size: 24" x 36" @ $19.20 per sq. ft. Shipping by truck : We will ship by what we consider the best method, unless specifically requested otherwise. Freight charges are collect to the customer. Glass is shipped in sturdy wooden crates and banded to pallets. We offer some of the most competitive freight rates in the industry. Restoration Glass® is mouth-blown in the original cylinder method, and as such exhibits artisanal features including air bubbles, striations, chafe marks, reams, and the occasional large bubble known as an "ox-eye". These features are characteristic of authentic hand-crafted glass and are not considered defects. 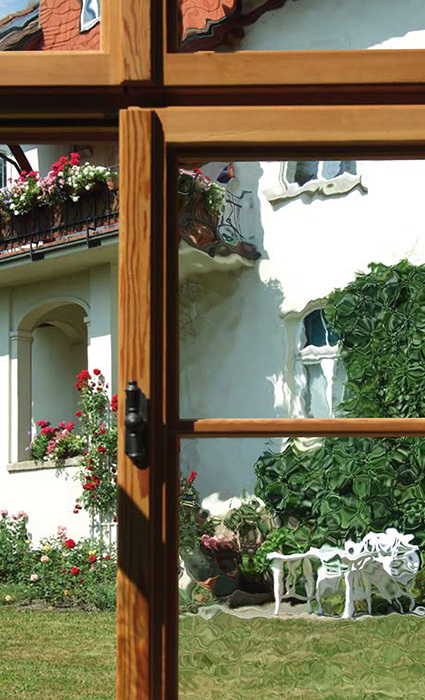 Due to its hand-made production process, each sheet of Full Restoration Glass® is unique and slightly out of square. Approx. sheet size is 24" x 36" (61 cm x 91 cm). Approx. thickness is 1/8" (3 mm). Listed price is an estimate. It is based on an average 6 sq. ft. (0.6 sq. m) stock sheet size and an average 250 sq. ft. (23 sq. m) case content, priced at our by-the-sheet / by-the-case rates. The actual square footage will differ slightly from this estimate. We will contact you with the final amount for your approval prior to charging your card. Restoration Glass® orders by the sheet or case typically are ready to ship within 1-2 business days from receipt of order.